Botox injections should not be painful. Depending on the area and technique, the feeling should range from imperceptible to mild discomfort. It should never be very painful. If you experienced severe pain with multiple injections, the injector mixed sterile water with the Botox instead of saline with the Botox. This does indeed cause significant pain with injection. Any injection can hurt, but the needles used for Botox injections are very small, so pain is usually minimal. The area can be numbed with a topical anaesthetic cream or cold pack 15 minutes before the injections are given, so you may not feel much pain, if any. Botox, itself, is not painful. The pain is associated with the needle. The smaller the needle, the better it is tolerated. When a volume of fluid is injected under the skin, it temporarily stimulates some of the nerve fibers. Everyone’s threshold for these occurrences differs from person to person. EMLA cream is a local anaesthetic. It works by blocking nerves from transmitting painful impulses to the brain. Relieving pain of normal intact skin and numbing skin to pain from injections and other medical procedures. 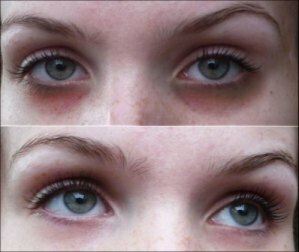 Dark circles under eyes are usually caused by hollowing in the “tear trough” zone due to volume loss caused by loss of fat in this area. This is usually due to age but can be present in much younger people who are genetically predisposed. The dark colour occurs because this loss of tissue allows the deeper dark purple muscle layer to show through. Often a “bag” will appear, as this loss of structure, plus loss of upper cheek volume in more severe cases, causes a loss of support to the tissue structures directly under the eye, which will then begin to bulge unsupported. The darkness is further compounded by the shadowing caused by this troughing and bagging. Dermal Filler treatment for under eye circles. By adding volume back into the troughs and upper cheeks, the “valleys” can be filled in to smooth out these negative contours, effectively eliminating the dark colour and shadowing, and erasing the perceived tired look. However, filling this area with injectables is THE most difficult of all dermal filling. It is not something you should have done by an inexperienced and unskilled doctor or nurse. Choose your injector very carefully. Due to the thinness of the tissues and skin, the area being extremely prone to bleeding and significant bruising, a tendency to swelling and the close proximity to the eye, this is “Tiger Country” to say the least! However, if done properly, this arguably produces some of the most rewarding results of any dermal filling. How long will dermal filler under the eyes last? Typically results can last up to 12-18 months. How is the treatment done and will it hurt? The treatment is done under local anaesthetic, and once anaesthetised, is completely painless. It does not hurt after the anaesthetic wears off. Treatment, however, tends to be a little bit more tedious than when treating other zones of the face, simply due to the potential fragility in this area Some temporary minor bruise or welt spots can sometimes be seen, but could be covered up with foundation. As mentioned above, this is “Tiger” country as far as fillers go. With such thin and fragile tissues, and usually being the case of attempting to recreate something out of nothing, inappropriate infiltration of filler in this area can very quickly become a “run away train scenario”. Lumps can simply be “pushed” out at a later date. Luckily these problems usually can be corrected, but may take a bit of fiddling around to get them right. Bottom line: chose an injector who is competent in treating this specialised area and get it right first time.